No bones about it, you can hide your favorite treats inside these hand-painted skeleton dolls. All five nest together or stand separately for display. 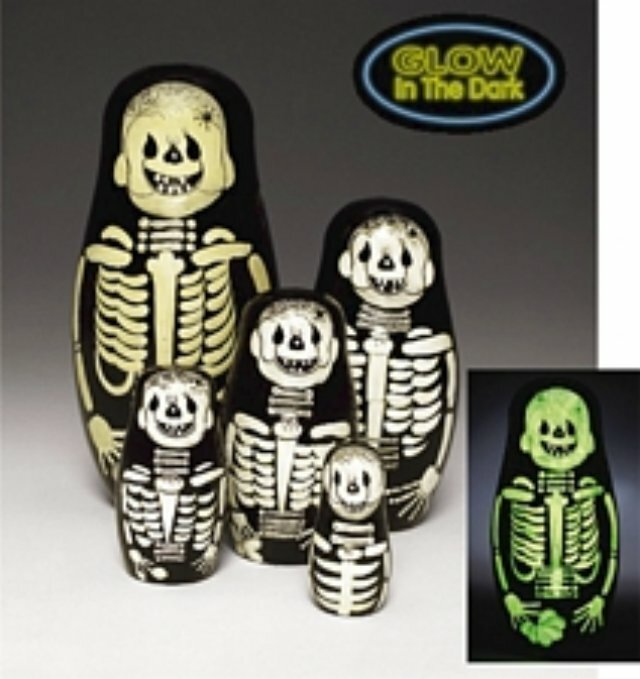 The largest doll glows in the dark. A great addition to the collectors showcase. Largest measures 5 3/4" tall.